From his 30 years of pastoral ministry, Roberts knows that people struggle with and want help in addressing the ethical dilemmas of this time — death and dying, poverty, AIDS, racism, sexism, religious pluralism, peace, genetic engineering, and the right to die. 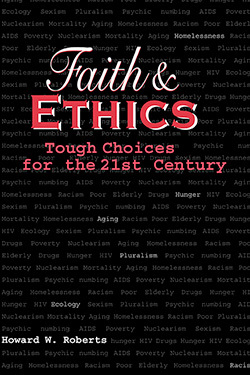 Faith & Ethics discusses issues openly and provides thought-provoking questions and ways to help readers make informed, faithful decisions and take action. It is a valuable and needed resource for group study in congregations or academic settings and for individual study and sermon preparation. Howard W. Roberts has held pastorates in Maryland, Georgia, Illinois, Kentucky, and Alabama. 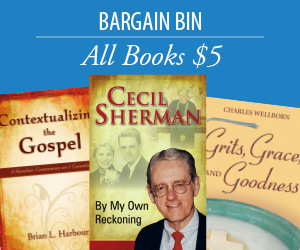 He has contributed sermons and articles to several periodicals and published several books, including Learning to Pray, The Lasting Words of Jesus, Redemptive Responses of Jesus, Approaching the Third Millennium, U-Turns Permitted, Doc, Faith and Ethics, and Sins that Crucify.